Not too shabby having Mass in the Church of St. Gregory the Great on his feast day and in the place where he lived and in the presence of his papal chair. Excellent homily by Fr. Thaddeaus here. After that we had an exclusive invitation to visit Mother Teresa’s nuns in Rome and to visit her bedroom and chapel where she lived in Rome. Then an extensive tour with Liz Lev through Ancient Rome which lays the historical foundation for our next few days learning about Christian Rome. What a day!! On the Roof of Convent Celebrating Canonization of Mother Teresa; Later Meeting Gianna Molla! What a banner day. Enjoy the Canonization from the “sky seats” and meet St. Gianna Molla’s daughter. Our pilgrims were really blessed today with many surprises and blessings. Enjoy! Mass at St. Peter's, Paul is Beheaded and Steve tells the whole story! Tomb of St. Paul. What is Typology? Great day in Rome — Banner Day! Join our Mass at St. Peter’s (Fr. Thad’s homily). Follow the Life of St. Paul. Enjoy! Enjoy the ride, the stories and the medieval city of Assisi. Don’t forget to listen here to Fr. Thad’s excellent homily at Mary of the Angels Church in Assisi. For the Homily at the St. Sebastian Catacombs, click here. On March 15 Pope Francis announced the canonization would be September 4, 2016. We had jumped on this a year in advance and secured the best accommodations, guides (including Liz Lev) and escorts. We had airline seats for many months just waiting for this announcement. Our group was invited to view the canonization FROM ABOVE ST. PETER’S SQUARE. NO BETTER SEATS than those!! Steve and Janet Ray were joined by Teresa Tomeo of Ave Maria Radio. We have both been to Rome uncountable times and love sharing our expertise with our pilgrims. Fr. 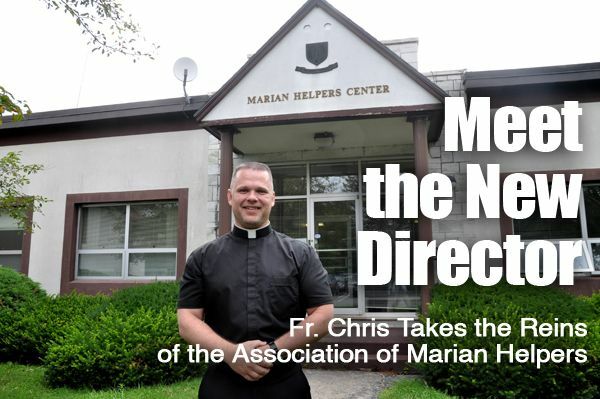 Chris Alar of the Marian Helpers joined us as our chaplain! If you haven’t heard of him yet you will soon. He is an exciting, enthusiastic young priest who works with Fr. Michael Gaitley who wrote “33 Days to Morning Glory.” Fr. Chris is an expert on the Divine Mercy and will be giving talks on this during the pilgrimage. This was NOT just short trip for the canonization but a full Catholic pilgrimage to Rome and Assisi. We will visited the major churches, saw the Pope, visited the Vatican Museum and the Sistine Chapel. We experienced Liz Lev’s incomparable slide show (see below) on the Sistine Chapel. We had terrific Mass sites for our daily Masses including the Altar of St. John Paul II in St. Peters and pilgrimage priests gave spiritual direction and confession along the way. Top notch restaurants each day and a side trip to Assisi.